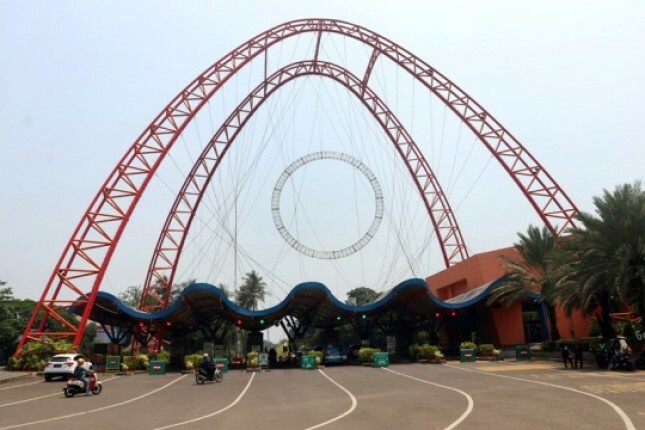 INDUSTRY.co.id - Jakarta - Entering the Eid holiday season 2018, PT Pembangunan Jaya Ancol Tbk predicts as many as 1.2 million visitors will fill the holiday time in Ancol. "This year we hope to grow 12 percent, so about 1.2 million, " said General Manager, Taman Impian Jaya Ancol Sunarto. Wednesday, June 6, 2018. Last year, said Sunarto, the increase in visitors during Eid holiday about 1 million people. This year, Sunarto is optimistic that the increase in visitors will be higher due to longer Eid holidays, coupled with school children's holidays. The increase is our assumption starting from the day of Eid to D + 15. "Sunarto said the management of Ancol will implement a centralized parking pockets system for both two and four wheeled vehicles, on 16-18 June 2018. The parking bag itself can accommodate up to 12 thousand four-wheeled vehicles and 17 thousand two-wheeled vehicles. The plan, continued Sunarto, pockets of parking will be provided scattered, ranging from Carnaval Beach in eastern Ancol to Dunia Fantasi in the west. Sunarto also said that for three days the management of Ancol will provide 120 bus wara-wiri that operate from 05.00 am until 00.00 pm. In addition, there are also 4 series sato-sato train with a capacity of 130-140 people per series. "If the bus interval wara-wiri tend not to break, if sato-sato train is about 15 minutes distance," said Sunarto. About the officers in the field, Sunarto said it deployed 337 security guards, 37 lifeguards, 50 P3K officers, and 97 guides. "The whole series of this preparation we optimize through the evaluation results in previous years to welcome visitors who will be recreation in this holiday," he said.